＊ Directly connection as type S (Inlet from bottom, outlet from top), and CT or CT&PT operation is also acceptable. ＊ Single direction three components measure three phase four wire active power consumption. It is nothing with direction of the trend of load current. Complying with standard IEC 62053-21. ＊ External or short terminal cover are both acceptable, just based on your requirement. 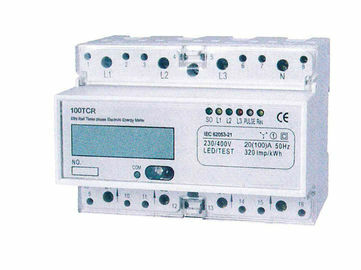 Model RDK100TCR three phase electronic DIN rail active energy meter is a kind of newest 3P4W/3P3W electric meter to measuring the active energy, it adopt micro-electronics technique, and imported large scale integrate circuit, using advanced technique of digital and SMT techniques, etc. 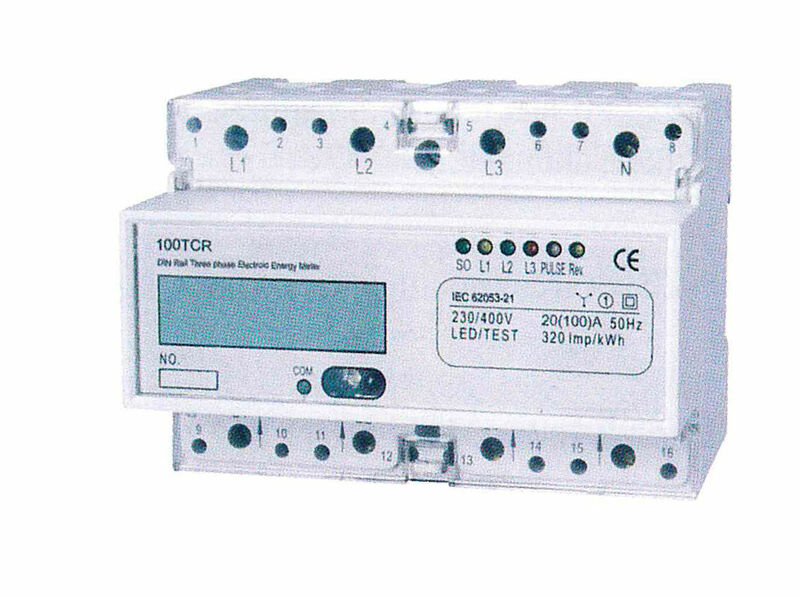 The meter meets relevant technical requirements of class 1 three phase active energy meter stipulated in international standard IEC 62053-21.. It can display total energy consumption by LCD with backlight.